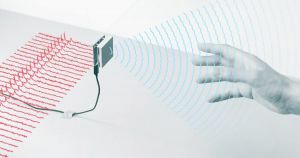 The Federal Communications Commission (FCC) just gave Google permission to continue developing Project Soli, the company’s radar-based sensors that let people control gadgets without touching them. Project Soli began in 2015, when the tech giant made claims about the tech that sounded like interfaces from “Minority Report,” which would turn up music volume when someone rotated their wrist, or zoom in on a picture when they separated two fingers from each other. Now the project has cleared a major regulatory hurdle, according to The Verge, paving the way, potentially, for next-gen gesture interfaces. The actual technology, as it was built back in 2015 onward, left a lot to be desired, missing or failing to respond to many gestures. The problem seemed to be the strength of the radar itself, so Google pursued developing higher-powered radar, according to The Verge. But FCC regulations stood in the way. Worse yet, rival tech giant Facebook raised concerns that the higher-powered radar signals would interfere with other technologies. Now the FCC has cleared the tech to proceed. The FCC’s ruling comes after Google struck a deal with Facebook saying that the tech company would still pursue more powerful radar technology, just not quite as powerful as it originally wanted. Google is free to improve the long-stagnant project, which could be a game-changer for people with fine motor control impairments. Because this is such recent news, Google has not yet commented on how it plans to develop Project Soli, The Verge reports. The most obvious use for this hands-off technology, aside from being able to wave your arm and control your smart gadgets from across the room like some sci-fi astronaut, is for people who struggle with the tiny screens and controls on things like smartwatches and other wearables. If the touch-free sensors do take off, a lot of people will suddenly have access to new gadgets and tools that they hadn’t been able to use for one reason or another, and life could become a lot easier as a result. The post FCC Clears Google To Pursue “Minority Report”-Like Gesture System appeared first on Futurism.